Avoid these five common wedding planning mistakes to ensure your destination wedding lives up to all your hopes and dreams. This is one of the, if not the, most important element for the bride and of course it takes time and a lot of shopping hours. However we suggest you just hold off a little while longer. In the long run you'll be very grateful to know your destination/resort and type of ground you'll be getting married on when choosing your perfect gown. For example, if you were to get married on the beach in Riviera Maya, in the height of summer with a thick material princess dress this would make you very uncomfortable. We recommend you secure your wedding date and venue before shopping, but then feel free to begin, and remember to enjoy the moment. Many couples are quick to rule out a wedding planner as an additional expense, thinking one would be absolutely unnecessary and usually only for celebrities. We believe a wedding planner can actually save you a lot of money AND time. Remember wedding planners have access to all the best and most trustworthy vendors in the area; they are also usually very good negotiators so are bound to get you an excellent deal and ensure you are given a great service from each one of their recommended vendors. A mistake many couples make is thinking their onsite wedding coordinator is their wedding planner. This unfortunately is not the case as they are tremendously busy coordinating a number of weddings each week and simply don’t have the time to give attention to brides in the run up to their weddings. However please don't think we take for granted the value of onsite wedding coordinators. When you arrive at your resort they are sure to be the most hard-working and humble people you'll meet throughout your trip. Brides, please just don’t do it. Nobody likes a bridezilla and we can guarantee this is what you'll become. You need your brain food, especially when planning a wedding. We suggest trying to plan ahead and getting into a healthy routine with your workouts and diet months before your wedding so little pressure is felt. Maybe even joining an exercise class once a week could work to your advantage, it will help you towards your dream wedding body and gets you out and away from the wedding planning for an hour or so. 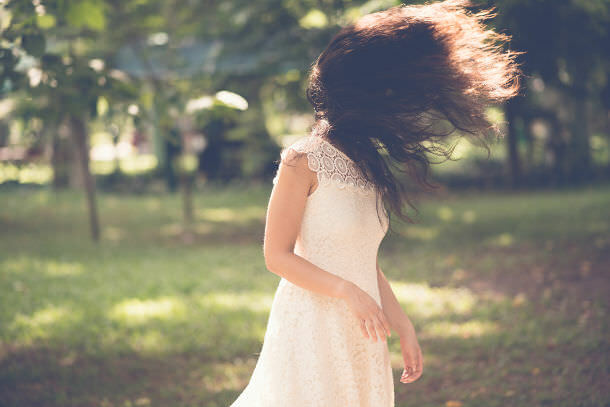 Many visit destinations like Riviera Maya for their beautiful beaches and weather, this however is the main reason why brides should reconsider having their hair down on their wedding day. Unfortunately with the sea breeze and humidity, however pleasant it may feel, many brides’ hairstyles don’t stand much of a chance. We suggest either having a romantic up do or an elegant side sweep. If you are 100% set on having a hairstyle where your hair will be down, make sure you have many hair grips available to pin parts up around your face. This makes our team sad. Please don’t be afraid you’re going to loose your engagement ring. This journey is going to make you and your groom life long partners and your engagement ring has been very much involved in the process. Unfortunately people have many misconceptions about some countries, including Mexico. We can assure you once you have checked into your resort and immursed the culture and people, all these worries will soon disappear and you'll most likely want to stay. Hanna Larsson is a wedding specialist from the beautiful Riviera Maya, Mexico. She plans weddings all over Riviera Maya, from Cancun down to Tulum. Visit Barefoot Wedding Guide to find out more about Hanna's services and how to contact her. You may also be interested in our Mexico Wedding Guide and Quintana Roo Wedding Directory.